In this post we take a closer look at the 10 most popular Google+ pages about SEO (either personal or business pages) and we compare these with the most popular twitter and Facebook pages. Google plus is the social network that most SEO’s prefer not only for search engine optimization purposes (think Google Authorship) but because it’s fun, informative and owned by Google. Some people may disagree that Google+ is one of the favourite tools of all Internet Marketers but the numbers below tell the truth and I will explain later in the post why. It is owned by Google – While I am not suggesting that Google has a preference to G+ over other social networks because it owns it, the reason that it may play a more important role is because Google has all the data it needs about G+ profiles and pages – something not happening with the data on Facebook and Twitter. Google Authorship – I have mentioned many times in my posts the importance of Google Authorship as a ranking factor and that fact that to implement authorship you need a G+ profile automatically raises the importance of Google+ for SEO. Good for Local SEO – In order to establish your Google+ for Business profile and get better positioning in local SEO you need to have a G+ business page. Google recommendations – When you search Google while logged in you get recommendations based on your G+ circles. The same happens when you browse Google Play or Google Chrome store, so it is very important to have a good Google+ presence with many followers. 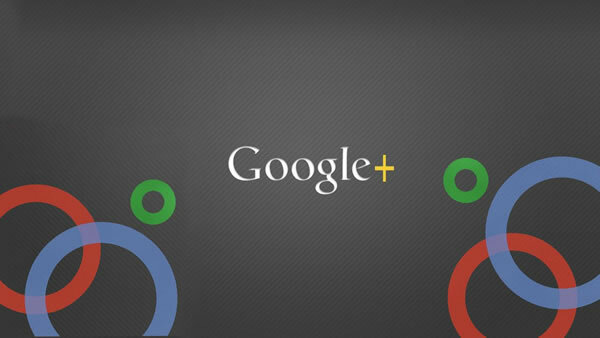 How to optimize your Google+ profile for SEO? How Google+ compares with Facebook and Twitter? I am sure that you’ve read articles from various Analysts referring to Google+ as a ghost town but is it true? Are the 359 million active users of Google+ ghosts and how do people in the SEO industry use Goolge+? I think one of the ways to find answers to the above questions is to compare the number of followers for the same persons (or business pages) on the 3 major social networks (Facebook, Twitter and Google+). For those who need more information about FB and Twitter they can read my previous posts: 10 most popular Facebook pages and 10 most popular Twitter pages. For pure SEO personas like Danny Sullivan, Matt Cutts and SearchEngineLand, Google+ is by far the most important network (with the greatest number of followers). How I created the top 10 list with the most popular Google+ pages? I have used both personal and business profiles in the list so as to see how these compare with the respective pages on Facebook and Twitter. These are the people/pages I follow to stay informed about the latest developments in SEO and a must for anyone interested about Google and Digital Marketing in general. Disclaimer: I am certain that there are many more Google+ pages that have more followers than the ones listed below and if you think that a page is missing do let me know in the comments and I can update the list accordingly. Google+ followers are as at 26 July 2013. Danny is again first in my list (he is no1 in twitter SEO accounts as well). With the incredible 1.7 million followers he is by far the most important and well known person about Search Engine Optimization and Google related matters. If you take into account that Larry Page (Google’s co-founder) has 6.2 million followers then Danny’s circle count is not bad at all. I added Search Engine Land as well despite the fact that it is owned by Danny Sullivan because it is probably the most well-known website about SEO (if you add all 3 networks together). The quality of information provided by Danny, +Matt McGee, +Barry Schwartz and the rest of the team makes the website a great resource on SEO. I added Google’s Matt Cutts as I was curious to see how many followers he has on G+ compared to FB and Twitter. Apparently Matt does not have a Facebook account but his numbers on Twitter and G+ are comparable. Someone would expect to see a lot more G+ followers than twitter but he is still using twitter actively so the difference is not that big. Darren Rowse is one of the leaders in the blogging industry and the 140,000+ followers he has on G+ is no surprise. I was expecting more Facebook followers for Darren since he is among the first bloggers who talked about the importance of Social Media in a time where FB was on the rise and G+ did not even exist. Moz (previously known as SEO Moz) is very popular on FB and Twitter but on G+ it is still below the 100K mark. I don’t know if they had a Google+ page before re-branding from SEOMOZ to MOZ and if this is the reason they are low compared to their FB and Twitter numbers but I am sure that their follower count will increase in the next few months to the same levels as FB and Twitter. Jeff Bullas is the ultimate Twitter persona. His twitter followers are increasing on a daily basis and that’s why he has passed the 150K mark. Besides Twitter his Facebook and G+ followers are very close which is another proof that when it comes to SEO and Social Media Marketing, Google+ has nothing to be afraid off when compared to FB. With just over 10K followers search engine watch made it to the top 10 list. It is more popular on Twitter with G+ and FB to have around the same number. Search engine Journal and the 2 last entries below (Brian Clark and Neil Patel) have three things in common. First is that they are popular in Twitter (Brian and Neil have over 100K followers), second is that they all have less than 10K G+ followers and third their G+ follower count is far below Facebook. Brian is one the leaders in content marketing and besides running copyblogger he is also the owner of studiopress.com – one of the best frameworks (genesis) build on the WordPress platform. Neil shares great advice for SEO’s and entrepreneurs and besides quicksprout he also runs Kissmetrics and neilpatel.com. He has worked with big companies producing great results and he is a must follow resource on SEO and digital marketing. Google+ is my favorite social network not only because it’s great for SEO but because it’s fun, interesting and easy to use. What I always advice my clients is to take advantage of Google+ to increase their website’s trust and business exposure on Google. If you are not already using G+ either for personal or business use, you should consider start using it without any further delay. Andrew Hi, thanks for the reminder. I totally forgot about badges but they really look nice. I just changed the follow links on the sidebar and replaced them with a badge. Great list of SEO authority businesses and personalities. I know Google+ is commonly used by online marketers but the switch over seems to be a lot slower for most other industry businesses and persons who continue to focus on Facebook, Twitter and LinkedIn. Even many social media experts I know don’t promote Google+ to their clients.